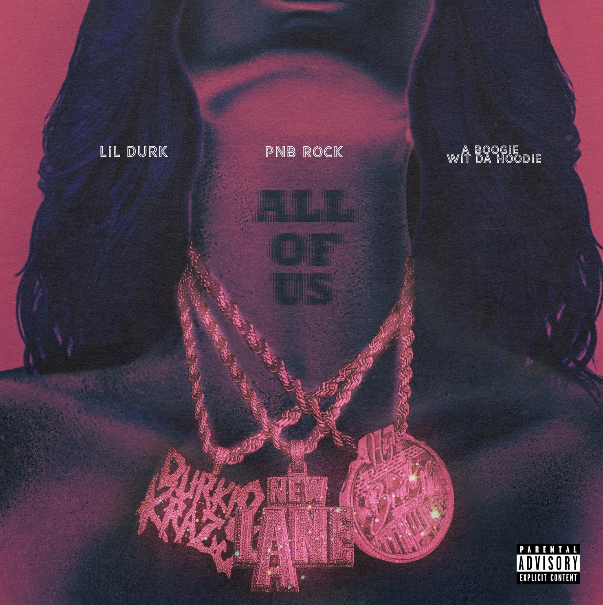 PnB Rock, A Boogie Wit Da Hoodie & Lil Durk Join Forces on "All Of Us" | RESPECT. At some point, the world will receive PnB Rock‘s double album TrapStar Turnt PopStar — a project I’m hyped for since hearing a few dope cuts throughout the year. This week, we get a dope collab titled “All Of Us,” which sees the Philly artist teaming up with New York’s A Boogie Wit Da Hoodie and Chicago’s Lil Durk. Check out the latest from the XXL Freshman alum (produced by Niaggi Beats) below.